Introduction: A healthy community is the basis of development of each country and one way to achieve this goal is proper nutrition, and consequently it is essential to provide the society with the necessary information about food products. Therefore, this study was conducted to determine the attitudes, practices, and views of consumers on food labels in Bandar Abbas in 2017. Methods: This was a cross-sectional study. The city of Bandar Abbas divided into five districts, and then 200 people from food stores were randomly selected by cluster sampling. The instrument used was a researcher-made 5-part questionnaire including demographic status, attitude, practices, views on the content of the labels, and the barriers to using the food labels. Data were analyzed using SPSS version 18 software. Results: The results showed that the mean age of participants was 31 ± 10.28 years. About 51% of the samples were women. 58% of the participants were married and 46% had university degrees. 46% were self-employed. Gender had a significant relationship with the variable of the barriers to using labels (p <0.05). Additionally, there was a significant relationship between the level of education of people and attitudes, practices, and views of participants regarding food labels and barriers to checking labels (p <0.05). The most attention the labels draw, is for checking the production and the expiration date. Conclusion: There are many barriers in relation to the information on food labels. Thus, given the high impact of food labels on choosing healthy food by consumers, food industry owners need to take action to remove barriers to labels. 1. Mirghotbi M, Bazhan M, Amiri Z. Evaluation of knowledge, attitudes and practice of consumers about food labels. Payesh. 2013;11(4):505-10. 6. Ganbari GM, Ghochani M, Amini TF, Nowrouz P, Dehghanianzadeh RR, Aslani H. Assessing knowledge and practice of food producers, retailers and consumers of food labels in Bostanabad. J Food Hyg. 2014;4(13):27-38. 11. 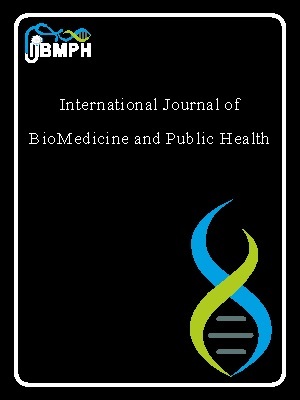 Jahed G, Golestani-Far H, Ghodsi R, Mohammadi M. The knowledge and attitude of students in relation with health and food safety at Tehran University of medical sciences. J Res Health. 2012;2(1):72-9. 13. Schupp A, Gillespie J, Reed D. Consumer awareness and use of nutrition labels on packaged fresh meats: a pilot study. J Food Distrib Res. 1998;29(2):24-30. 14. Worsley A. Consumers and food product label information. J Food Aust. 1994;46(5):223-30.